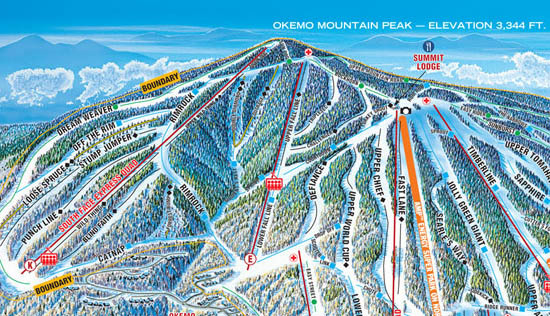 Working to modernize a once-large surface lift ski area, Okemo decided to build a new trail complex in the late 1960s. 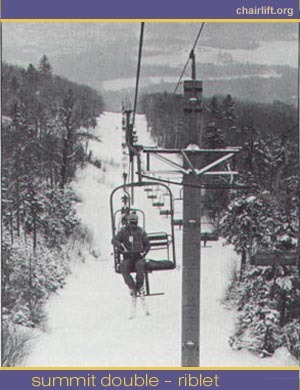 Known for awhile as the Snow Bowl, the present day Glades Peak area was slated to open with a new chairlift during the 1968-69 season. 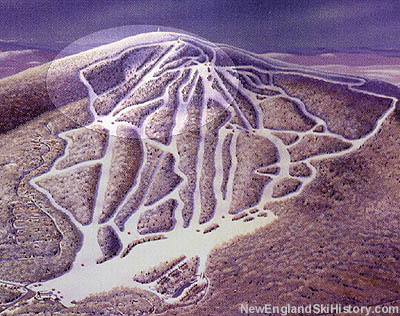 In addition, a new $400,000 base lodge was to open that season. Due to early season snowfall, however, the double chairlift construction was halted. The new Riblet double, 4,086 feet long by 1032 feet vertical, opened for the following season, extending the ski area's overall vertical drop. The new area was expected to prolong the operating season. In 1991, the Riblet double was replaced with a new Poma fixed grip quad, measuring 3,926 feet long by 1,023 feet vertical.